Yeah, hard work is finally paying off! 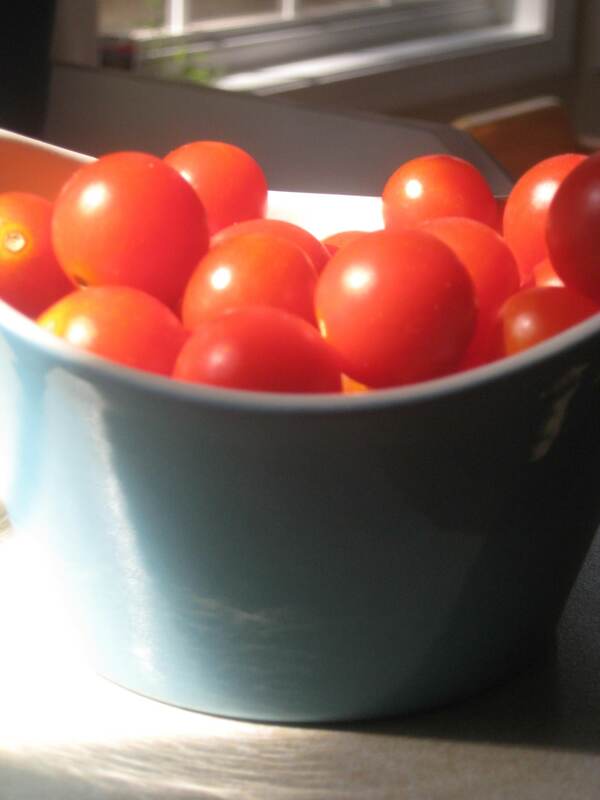 Who doesn’t LOVE homegrown tomatoes? Sprinkled with a little salt, I don’t think it gets much better! 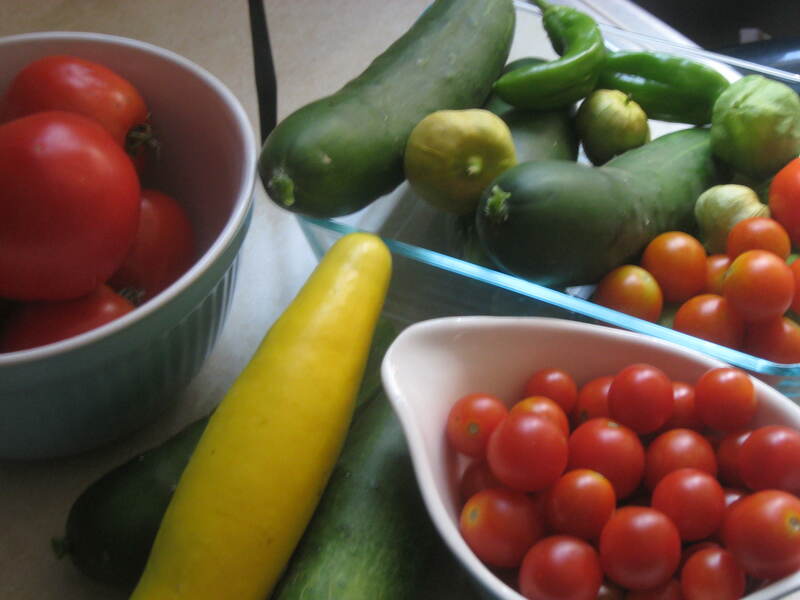 Looks like I’ll have to make time for homemade salsa today..YUM! Tonight’s menu? Parmesan couscous with sliced cherry tomatoes, cucumbers and feta cheese! I may even throw in some diced ham to make it a one bowl meal! Don’t get too jealous, this does mean I will be on the floor after dinner cleaning couscous from places I don’t even want to mention..oh wait, I’m 8 1/2 months pregnant..I won’t be under there, my husband and kids will be!!! This just keeps getting better and better! Previous postGrillin in the Rain!